Carlos Hidalgo is a managing partner at Cru and in charge of both the financial aspects of the business and the creation of Cru's signature wine list and beverage/cocktail program. 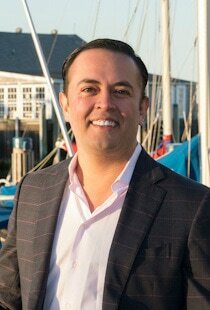 The former restaurant manager for the Boarding House and The Pearl on Nantucket, Carlos oversaw and created unique beverage and wine programs for each individual restaurant that complimented its cuisine. Wine lists for both restaurants were recognized by Wine Spectator's "Award of Excellence." Carlos has a wealth of experience in restaurant management. He was the general manager and managing partner of the award-winning Bomboa Restaurant, the general manager and managing partner of II Bico Restaurant and the restaurant manager and director of public relations for La Bettola Restaurant & Galleria Italiana Ristorante, all based in Boston. In addition to his extensive background in the hospitality industry, Carlos brings his fine-tuned business acumen to Cru with four years as chief operating officer of Modmix, the first USDA organic cocktail mixer on the market. Carlos first came to Nantucket 18 years ago at the urging of a good friend. He was taken by the quiet beauty of the island and spent time on the island every summer, moving to Nantucket permanently in 2010 and dividing his time between the island and Miami. Carlos has a life-long fascination with food and enjoys traveling to wine and culinary regions throughout the world - Argentina to Napa Valley to Burgundy. An affirmed cheese aficionado, he enjoys throwing wine and cheese parties for friends. Carlos received a Bachelor of Science degree from Boston University with a concentration in hospitality administration.